Squared (rectangle) version of the original Jelly Roll Rug pattern. Uses one jelly roll. 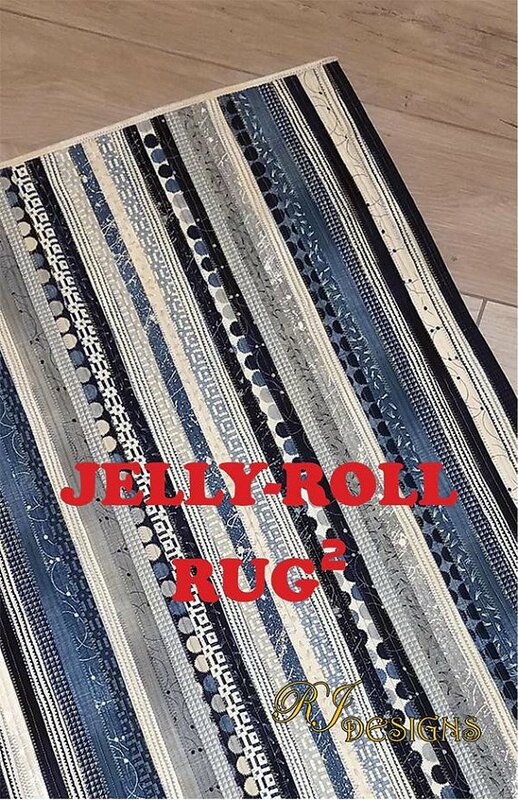 Jelly-Roll Rug Pattern takes one jelly roll and makes a 30" x 44" area rug. 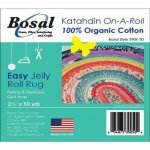 The rug is make with batting strips and a Jelly Roll which contains forty-two 2-1/2 inch fabric strips. You can also use yardage if you'd prefer and want to coordinate to your home decor.